A wide range of socket converters or adapters for Xeltek Universal and Gang Programmers. More sockets are available, please contact us. Socket Adapter or socket converter for devices in PLCC32 packages. This adapter is universal and any 32-pin PLCC device can be used with it. Socket Adapter or socket converter for devices in PLCC28 packages. This adapter is universal and any 28-pin PLCC device can be used with it. Socket Adapter or socket converter for devices in SOIC20 packages. 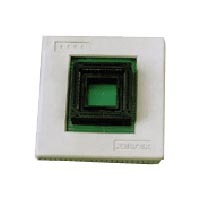 This adapter is universal and any 20-pin SOIC device can be used with it. Socket Adapter or socket converter for devices in TSOP56 packages. This adapter is NOT universal and only takes some 56-pin TSOP devices. Socket Adapter or socket converter for devices in TSOP24 packages. This adapter is universal and any 24-pin TSOP device can be used with it.